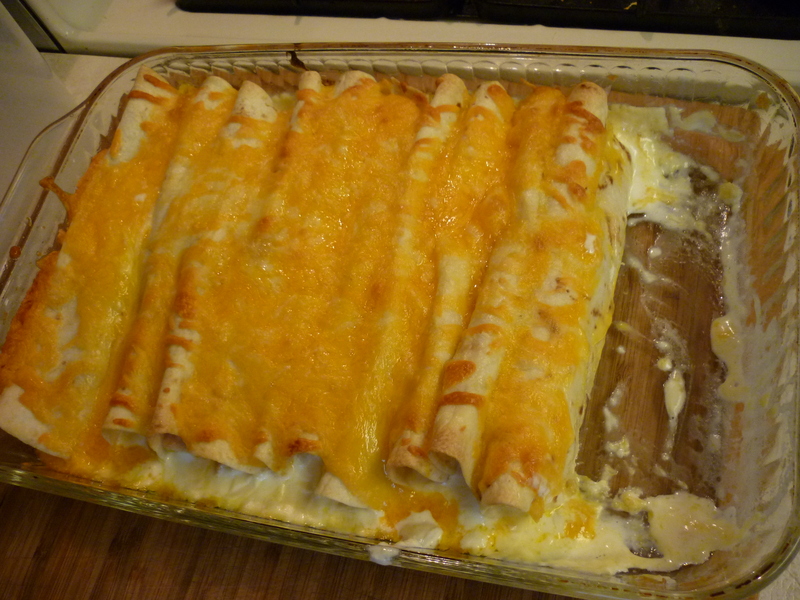 I really like this dish. 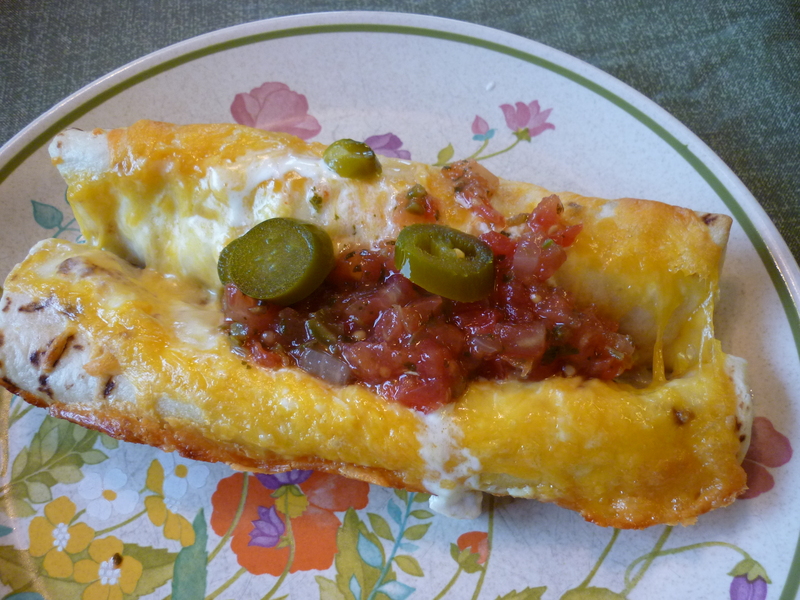 The original recipe called for frying each tortilla in oil, which I have done many times. As far as flavor goes, I don’t see much advantage to doing it that way. This way works just fine and is much faster and less messy. It’s probably better for us, too. I don’t see why you couldn’t use a low-fat cream cheese for the filling and a fat-free Half n Half instead of cream if you wanted to. Stir fry 1 lb. 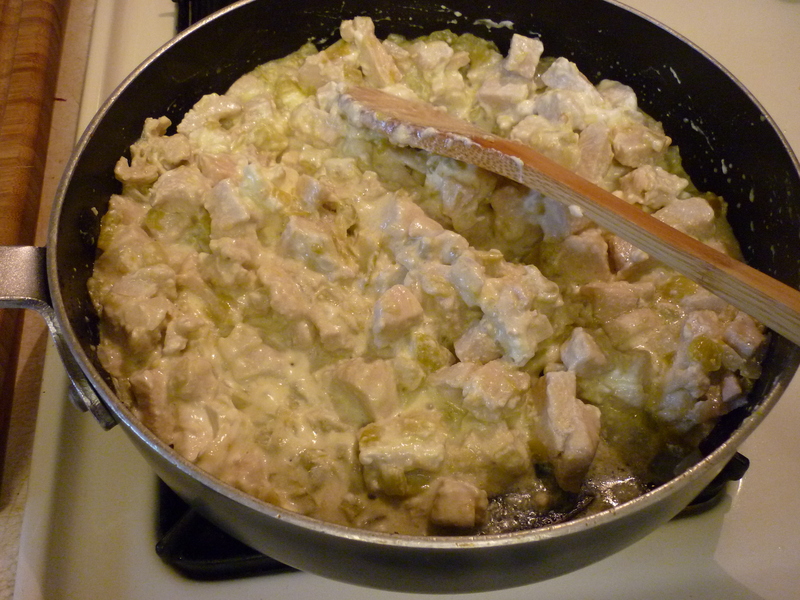 boneless skinless chicken breast (or use leftover chicken meat) with 1 cup chopped onion. Be sure that chicken is thoroughly cooked. Add one 7-oz. 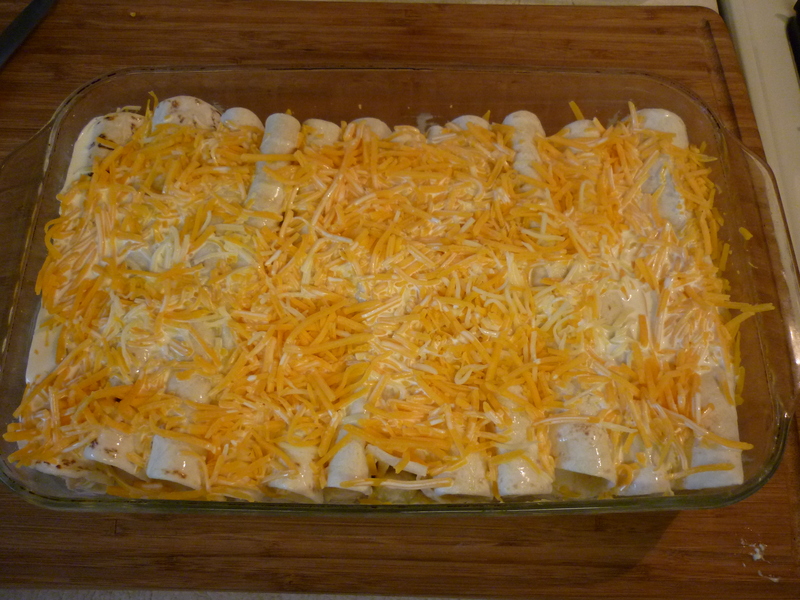 can diced green chiles and 8 ozs (1 package) of cream cheese. 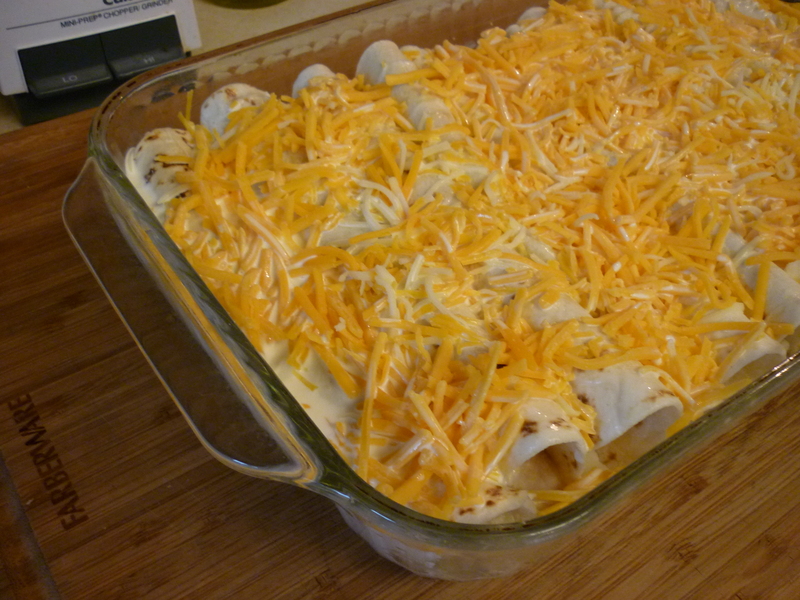 Heat and stir until cheese is melted. 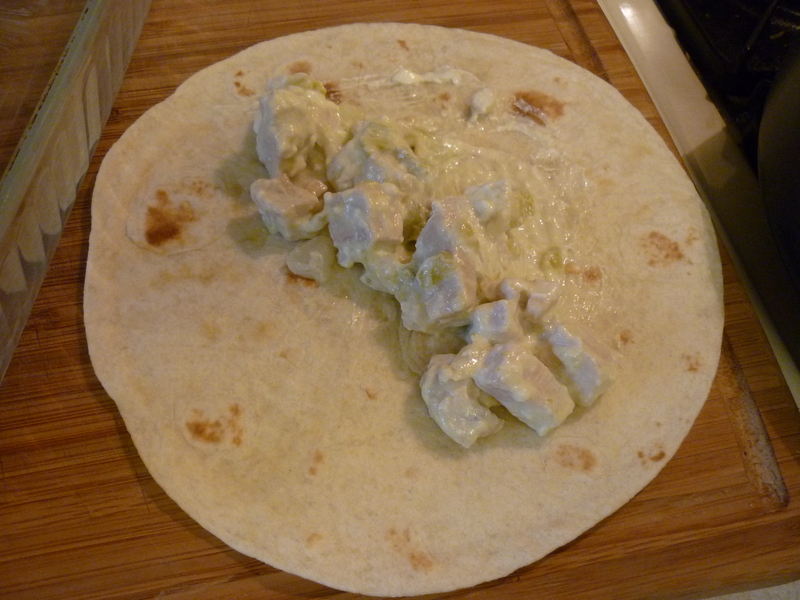 Spread filling down center of a flour tortilla and roll up. 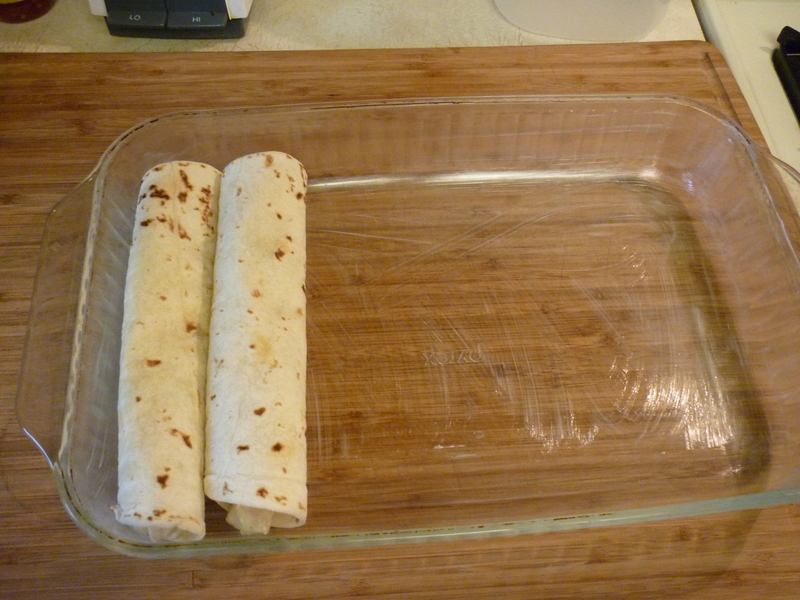 Place rolled tortillas into a greased 13 x 9″ baking dish. I’ve tried using a spray-on oil, and it works, but is so slippery that it’s hard to deal with. 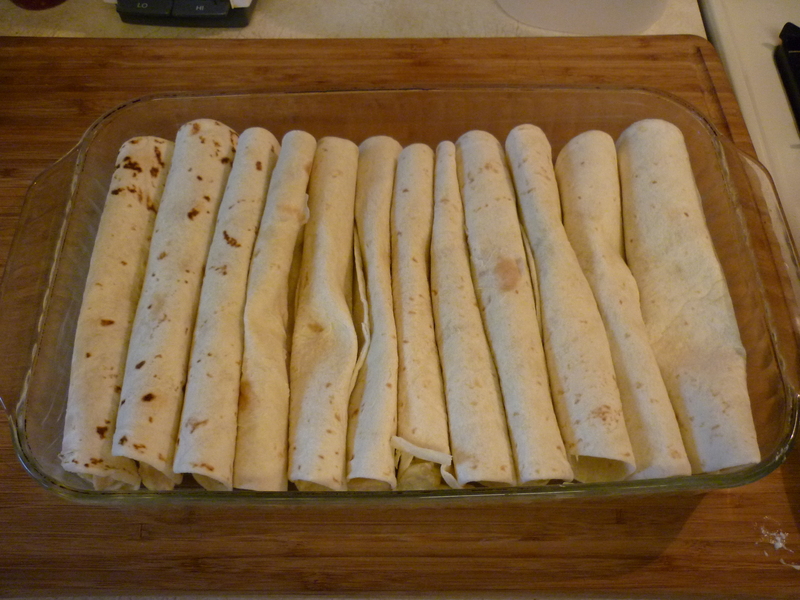 Continue filling and rolling tortillas until you’re out of filling, which makes 10-11 enchiladas. 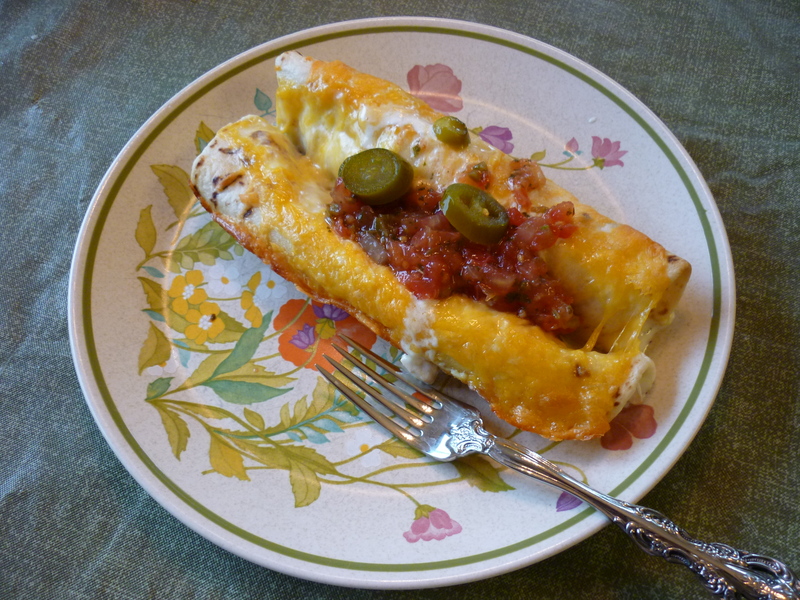 Sprinkle with shredded cheese: Monterrey Jack, Colby, cheddar, or a combination of them. Pour cream over all, about 2/3 cup or more.